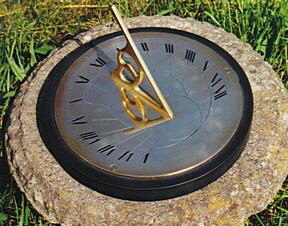 THUS LIFE, WHILST IT FLIES, SEEMS TO STAND STILL. 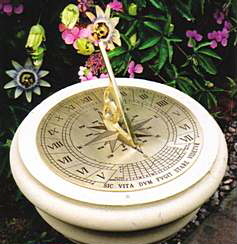 A traditional and very pleasing design, in a style popular since the 17th century. 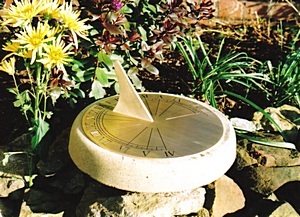 Our version of the Jacobean brass sundial also has ample space to include, for an additional £20.00, your personal message, or a suitable motto. polish now and again will, however, restore a vintage gleam. 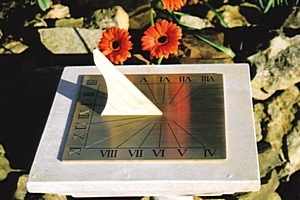 A representation of the Lunar Eclipse, this unusual upright sundial is adjustable for use in any northern latitude. 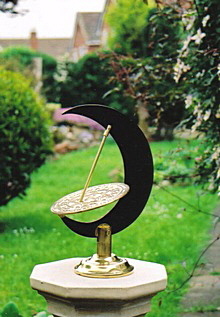 Black-stoved aluminium with brass dial, gnomon and stand.